Have a question for Rainforest Beach Hotel? "I had a good stay overall." Rainforest Beach Hotel is located on the beachfront of El Nido. Boasting eight well-appointed guestrooms and suites, all are tastefully furnished and equipped with modern amenities for guests’ utmost comfort and convenience. 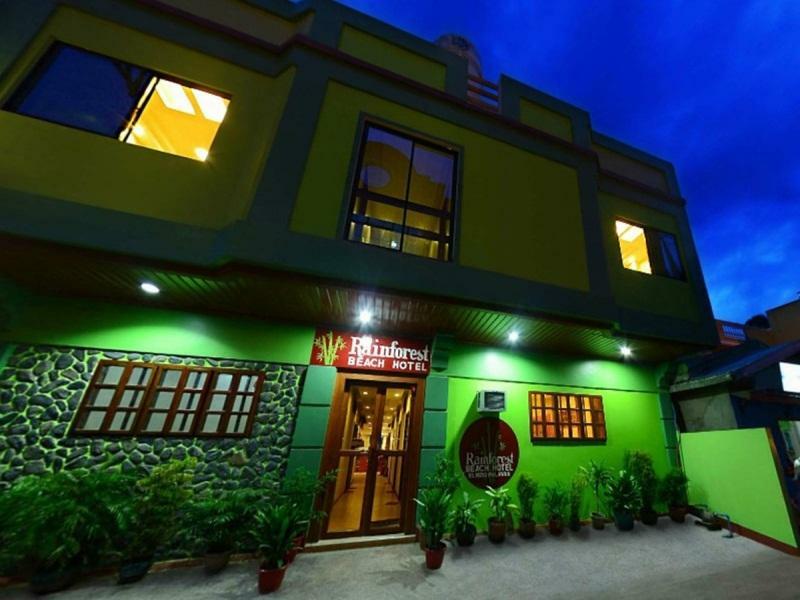 The hotel is budget-friendly and perfect for family or leisure getaways. Offering an excellent location and quality service, Rainforest Beach Hotel is the place to stay during a memorable trip in Palawan. Please enter your preferred dates of stay and submit our online booking form to make a reservation at Rainforest Beach Hotel. "For this I was quite pleased." Pleasant, relaxing. The nicest people in the world are from the Philippines, some of them are at rainforest. I did not need any assistance and none was forced upon me. For this I was quite pleased. If you are someone who requires to be waited on and catered to, this may not be for you. But for me it was on the water, right in the middle of the beach, away from the noisy craziness and with a fantastic porch. I really loved this hotel. We had a jacuzzi beachfront room. Unfortunately we never used the jacuzzi, but the view was amazing. The location was perfect and the staff are very friendly. The room was really clean and comfortable. We didn't even need to use our silk sleepers, since the bed was so clean with nice sheets. Since I was traveling with my 9 year old daughter, it was a relief that they had good cable channels and good wifi. I would definitely stay here again. when we arrived our booked room was not available after calling early the morning to confirm. We had to stay in a room of lower standards. The next day we transfer to our Jacuzzi room. This is apparently not the first time it has happened according to other reviews of this hotel on Agoda. the hotel is right on the beach and very well located close to restaurants and shops. The only other thing that was not very nice is that the manager and his family smokes in the hotel and lobby/breakfast area. i liked our stay at the rainforest beach hotel because it is centrally located and it is a beachfront hotel. the service was great and fast! there were nearby restaurants to choose from so, you are not limited to just one place to eat. my only concern was that their bathrooms are not appealing. they should at least put a wall to separate the toilet and shower. Had a great stay here for a week in the beginning of March. Which would be around the best time to visit Southeast Asia in general. Excellent location from which to explore el nido as a whole. The view from some of the rooms and hotel lobby is absolutely stunning, with mesmerizing green water and mountain combination. All I could say is wow when I walked up to the checkin. The staff is really friendly. I recommend leaving a nice tip after your first day for the cleaning crew. The room standards aren't quite what you would expect as it is very basic(coming from US, East Asia, or Europe) but that is not why you stay here. It's for the beachfront, personally thought it was the best on the bay; cordoned off swimming area right at the center of a very clean stretch of beach. The street is right behind to grab a ride to other beaches or destinations via tricycle. The Hotel is right on the beach with a great view. The rooms are rather small but comfortable. It was a great stay and the location is great. Close to the beach, close to the restaurants and the most popular beach bars around. Rainforest beach hotel is beachfront right in the middle. It has a beautiful view of the water. The rooms are clean and bed is comfy. 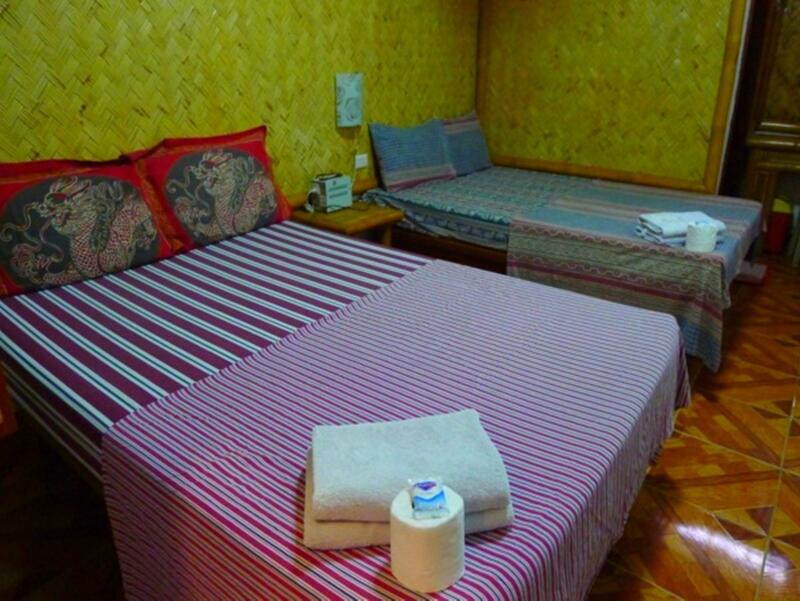 The prices for accommodations are expensive in El Nido especially for the quality of the hotels. We were satisfied with our stay; however, we won't be returning. when we arrived at the hotel, it took so long to checked-in. they have problems with booking no or whatever, so we have to wait about 30 minutes. the wifi in public area is so slow.. the only good thing actually is the hotel is beachfront, so we can hear the wave's sound and see the beach every time we want. the staff weren't too friendly. maybe because they are too old. From the moment we stepped of our flight and approached the Waterfront Resort booth it was service - service - service. My wife and I could have walked the short distance to our hotel however seeing we had the opportunity to avail ourselves of a limosine servie we took it up. Limo took us to hotel door and we checked in.what servie. The room was superb, although would have like some better views as apposed to looking on roofing, however that aside very happy with our stay. We look forward on returning and staying here again one day. the one staff was the most kind staff you could talk to. Very very VERY BAD. i was in rainforest (formerly BEACHFRONT hotel) way back 2013?.. the staff was nice (sir armstrong go). i came back thinking the service and the value for money was same. i came back FEB 2016, together with my family from the states and paid for 3 nights in one of their room with jacuzzi. room 203 if im not mistaken. we were snobbed when we checked in and was shocked at the front desk of a very unpleasant intern desk officer who keeps on eyeing us from head to toe. thinking that we are already paid full via agoda. we asked her if they have extra room for 2 she said none. we went out of the hotel and searched for room and was exhausted. we booked online for room and saw there was an extra room available. we booked online while outside the street and was shocked that the girl in the front desk said there was none. there were other complainant that day, from canada, and a group from another country. they seated on the stairs and was shocked that they booked online and there was no available room. we booked too online. then when we got to the front desk, i showed the booking reference and said there was no room available. it was given to an agoda customer an hour ago. we checked in at around 4. we booked online at around 5.. then SOMEONE booked ONLINE at around 630... I cant believe it! the girl said there was no room wasted energy walking and searching. she couldve said there was a room available. the older guy was shouting "you should ask agoda first if there is room!! who would you believe? US OR AGODA? all AGODA DOES IS GET YOUR MONEY. TALK TO AGODA, THATS NOT OUR PROBLEM" WHAT A STAFF!! I had booking via Agoda for standard room, but they said there is no standard room, only the expensive one. Although I booked 2 boat trip, and left lot of money with them, I had to look for another hotel for the 3rd night. My stay was ok. I'm not the kind of guy who usually complains but it has to be said. I had to book a deluxe room as they didn't have standard rooms anymore. The room was definitely better but $60 a night! Come on! Moreover, I asked to clean my room 4 times. I asked at 9am the first time, the staff was making the room in front of mine. 2pm they had not done it yet and were cleaning the room downstairs. I think it was on purpose. Anyway, The staff is not really friendly except Ronaldo who is very nice. No breakfast included for the price. 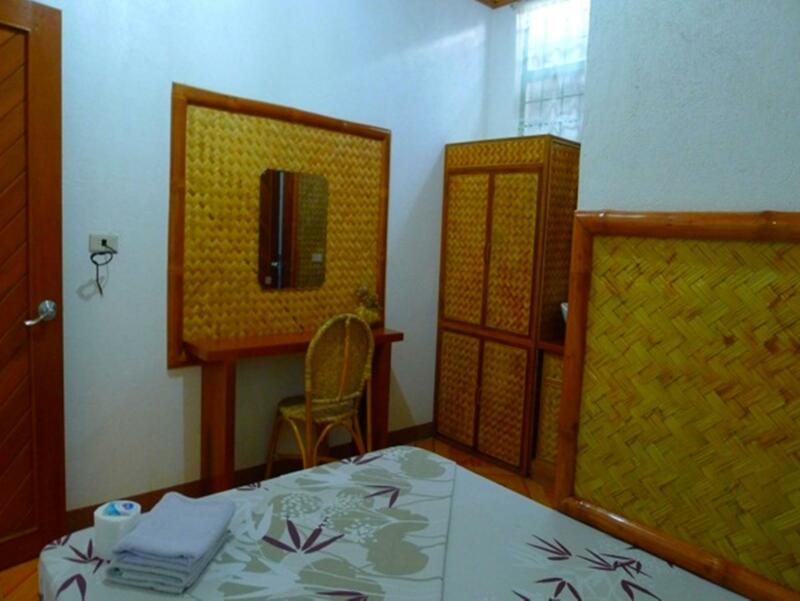 Overall, pleasant stay at el nido because it's really amazing over there and I was not often in my room. Rooms are a way too expensive, so I don't know if I would stay there again. I met many people with cool rooms for much cheaper. The hotel is not even a night, I had a room with a whirlpool, which does not work! No hot water at the dirt and noise ... other rooms are even worse! wifi was too bad, I do not recommend anyone for money seating better !!! We decided to go to another hotel. When we arrived at the Rainforest Hotel, the room we booked was disgusting and dirty. There was on going building works and things in room where broken. Toilet seat, tv, lights. We losr our money we paid for the room which was 11,000 php. I would never recommend this hotel to anybody. Please do not waste your money. There are better beach huts to rent. Which would probably be cleaner. 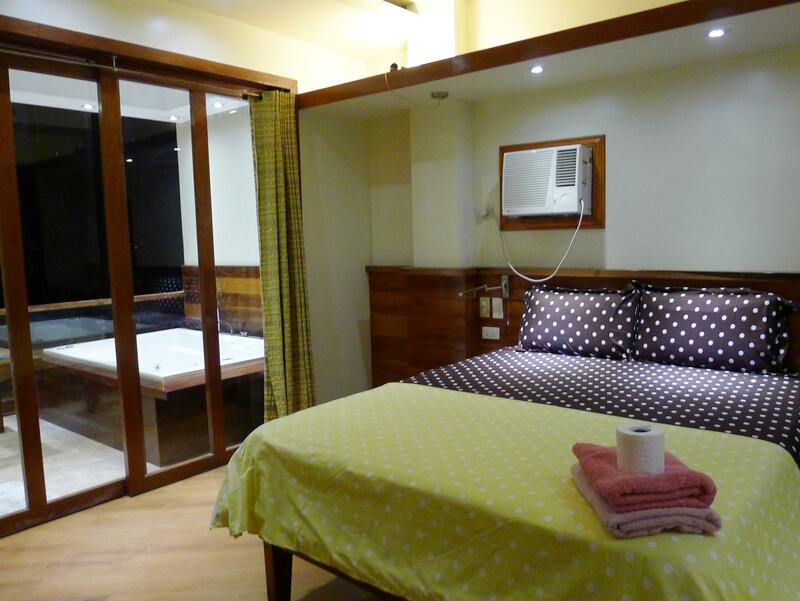 Good room standard for el nido. But that goes for the first night. They did not clean the room during our three night visit and since the hotel is just by the beach you will bring sand to the room. We did not feel welcome, the hotel staff seemed botherd to have guests at all. Watching TV and sleeping in the lobby is more their cup of tea. Rooms facing the street is quite noisy with thin walls, we could sleep through this but if you are sensitive avoid geting those rooms. We got there late evening and we were helped right away. Left the next day so wouldn't be able to rate the facilities as much. Room was OK nothing extraordinary but I guess you can get better quality for the money you pay.